Daan de Groot made it 5th at the 2018 EC Duathlon — Talking about resource allocation! For those of you who do not know Daan. He is a PhD student in our lab, working on a mathematical theory about optimal metabolism for microbial growth-rate maximisation and its experimental testing. One of the principles underlying his theory is optimal allocation of limited resources for the synthesis of metabolic enzymes. What turns out is that Daan is also an expert in allocating his own limited resources. Daan is a talented road cyclist. A decade ago he competed with riders who are currently riding the tours of Italy, France and Spain. (I regularly wish I had those skills, but let us not go there.) During multiple day cycling events, which can even last several weeks, it is all about staying fit and focussed, while your body is slowing draining resources, which you cannot readily supplement with food. We call this fatigue. Cyclists learn how to the optimise their balance of performance and fatigue, which is one closely associated with optimal resource allocation. Recently, Daan has added a new resource-allocation trick on his sleeve. He started duathlon, a run then bike then run event. Duathlon is a growing sport in the Netherlands and highly popular in the USA. It is closely related to triathlon, an Olympic sport. During a run-bike-run it is all about allocation of energy resources. Daan found an optimal way of solving this problem during last weekend’s European Championship (EC), in Vejle (Denmark), by focussing on what he does best. Daan cycles better than he runs. His strategy during the EC was to save resources during the first run, go as fast as possible on his bike, and then run until he can no longer stand. And what a wise choice this was! After the first run he was amongst the slowest, he was the fastest cyclist and was 5th when crossing the finish line. We congratulate Daan with this major achievement! For more information about the Vejle EC Duathlon 2018 see this link. 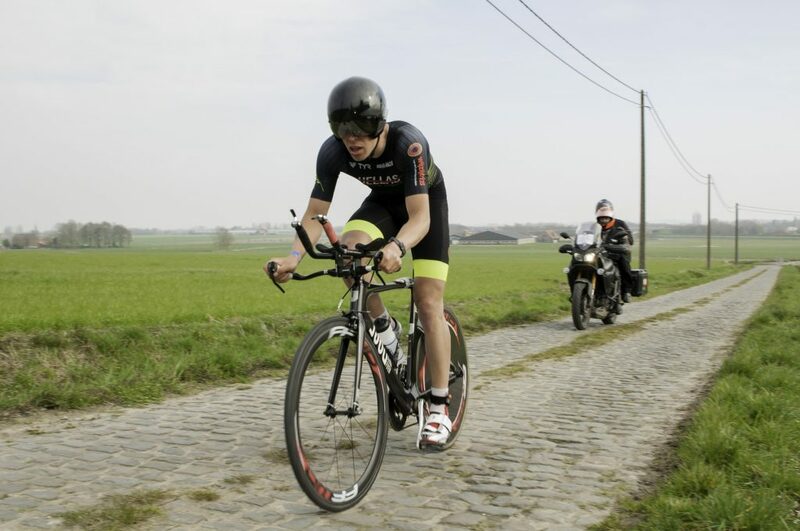 Here you see Daan riding earlier this year when he won the Duathlon in Geluwe (Belgium).